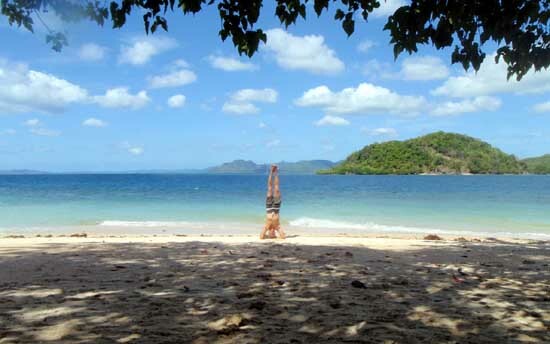 Calumbuyan Island was a blue-balls dive for me a few years back. My buddy then was inexperienced and was overwhelmed by the initial plunge. That also stopped me from making the most out of the dive. Now, with just me to worry about, I could make up for everything I wasn't able to do. 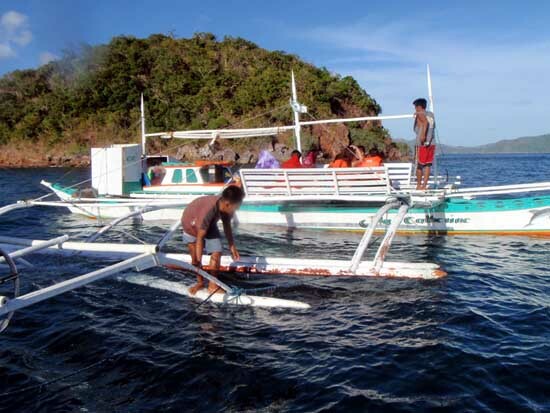 Fortunately, Calamianes Expeditions and Ecotours was offering that tour together with 2 other destinations - Coral Garden and the Lusong Gunboat. 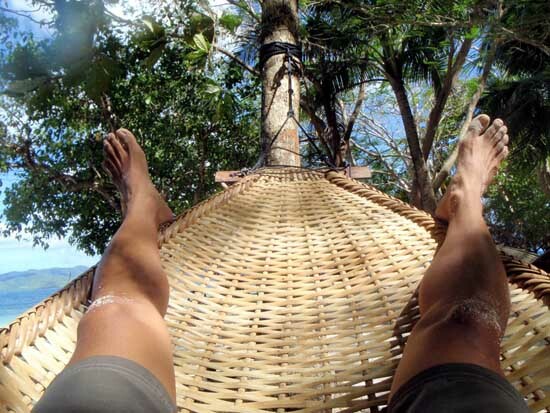 There is no island hopping or beach bumming on this one except for Calumbuyan Island. This tour is essentially a snorkelling tour. 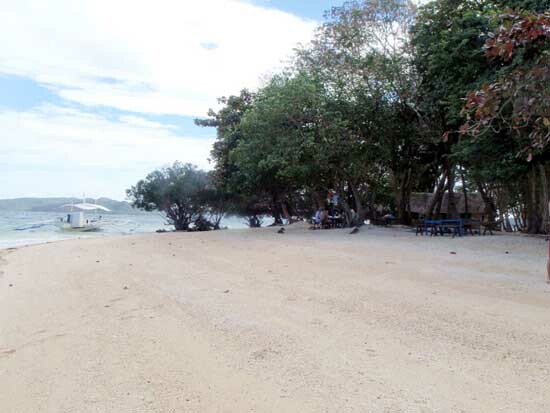 Calumbuyan Island is not a short trip from Coron Town. It took us about 2 hours to get there on boat. 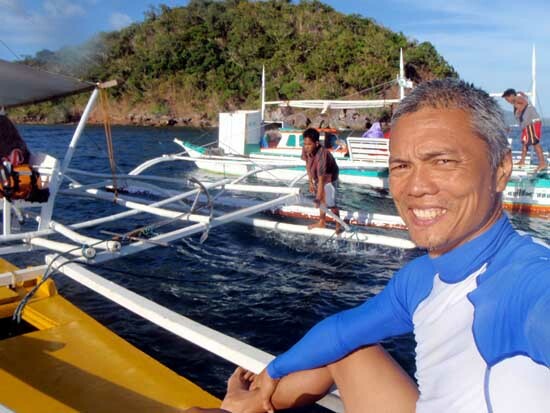 I heard that due to its distance, some unscrupulous boat operators mislead their guests to a much closer "Calumbuyan Island" - that's according to Chris, the island caretaker. Yes, best to take the legit tour operators than be taken for a ride (pun intended too). This time, I had the full appreciation of what Calumbuyan is all about. This is one of the best reef system I have been to. The corals were thick, lush and intense - from soft coral types to hard ones, I was lost in the myriad of a coral forest. It was difficult to find access to the reef from the island, and equally hard to get back to the island due to thick corals that blocked access. I wanted to encircle the entire island but I was already fatigued by the time a french couple took to the reef to dive around it. I could have joined them. I'll be back. And this time, I'll bring my tent and stay until I have Calumbuyan coming out of my ears. This one is a boat dive and takes the cake for reef coverage. 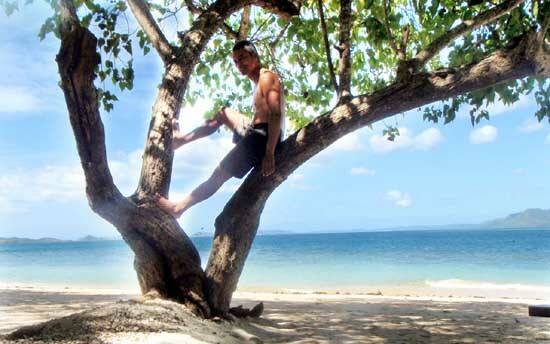 It's a massive coral system that stretches along the Lusong Island coastline for about a kilometer. It's not as intense or vibrant though as Calumbuyan. Thickly covered with corals, the ship's bow is only a meter from the surface but its stern plunges down deep. 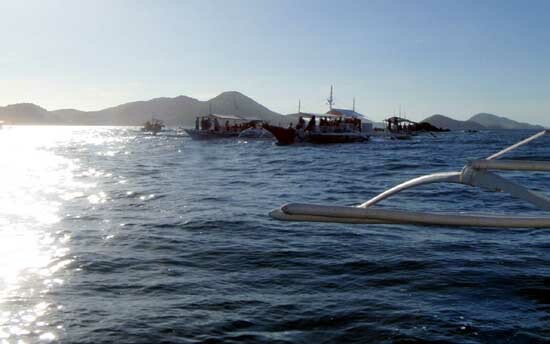 Because it's a common party boat stop, there was heavy traffic from people with vests snorkellling above the wreck. But to truly appreciate this ship, you need to free dive and peek at the inviting holes - they're big enough to go into, but not without tanks. With all the boat travel and the deep plunges I took, I was exhausted and couldn't wait to get back to dry land and warm up. Since we were all wet, going back with the low sun and sea breeze hitting us, it felt hypothermic. Bring your windbreaker if you do this tour....but yes, you must do this tour if you love snorkelling or free diving!